A father’s devastating choices. A baseball player’s promising career cut short. A boy’s dreams dashed. During the summer of 1973, eleven-year old Paul Tracey watches from the stands as his father, a pitcher for the New York Mets, beans Joe Castle in the head. When Warren Tracey is diagnosed with cancer decades later, his son sets out on a mission to reconcile his father to Calico Joe, and he finds a measure of understanding and reconciliation himself. I’ve read almost all of John Grisham’s books and thoroughly enjoy them, but I like the non-courtroom fiction the most. If you like John Grisham’s books, you’ll like this one, and if you also enjoy baseball, you’ll appreciate this one even more. Set against the backdrop of Major League Baseball, the baseball stats and details permeate the story. 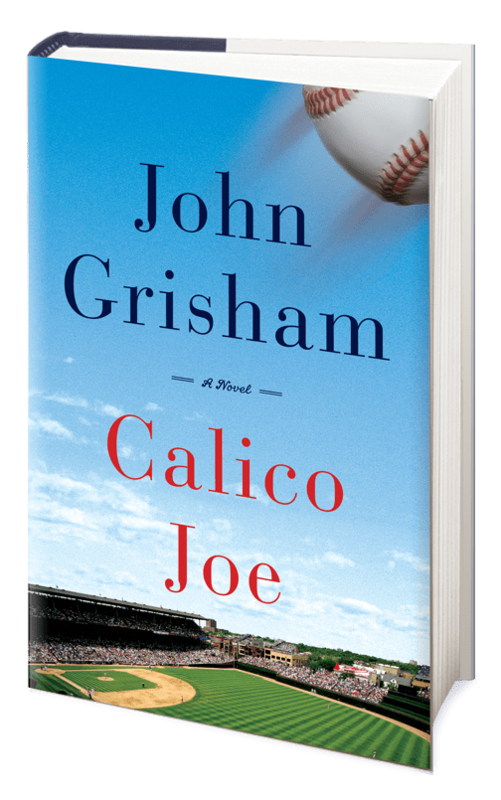 As anyone who loves baseball or has a family member who loves baseball knows, those stats come as easily as breathing, and John Grisham moves easily between the world of baseball to the private stories of the men and boy in this story. Grisham tells a story well, and he weaves heart-warming moments and painful memories into a memorable story. The scene in which Calico Joe and Warren Tracey meet after decades of isolation, bitterness, and hardship and is full of grace and forgiveness. I was struck by the depth of Calico Joe’s forgiveness and his kindness towards the man who had hurt him so deeply. This book will be released on April 10, 2012, and I recommend that you find a copy at your local bookstore or library to read as baseball season gets underway. Opening line: “The tumor in my father’s pancreas was removed last week in an operation that lasted five hours and was more difficult than his surgeons had expected” (1). Closing lines: “Two hours later, I’m on the plane headed home. I read my letter and again felt the pain of a broken little boy. I put it away, open my laptop, and begin writing the story of Calico Joe” (194). Favorite line: “New York sports fans are rabid and well-informed, and they do not suffer from a lack of opinions” (51). Line that most reminded me of my brother’s love for sports: “I knew their ages, birthplaces, heights, weights, and all their stats. I did not deliberately memorize all this data. I simply absorbed it” (61). Highlights: Interesting characters; snappy dialogue; moving reconciliation scene. Final thoughts: I enjoyed this book and recommend it as a quick, pleasant, summer-time read. Full Disclosure: I received an advance copy of this book for the purpose of reviewing it on my blog. Many thanks to Doubleday for this book! I enjoyed reading it and have started passing the book around to family members so they can read it too.